Since the 26th of May 2017, storms with incessant heavy rain have been seriously affecting the Ratnapura district in Sri Lanka. The district is prone to annual floods, but this year’s were much worse than those previously. According to the state-run Disaster Management Centre, the death toll has risen to 151, while 111 people are reported missing and 95 injured. Nearly 500,000 people have been affected by the disaster and it is the worst since the 2004 Boxing Day tsunami. 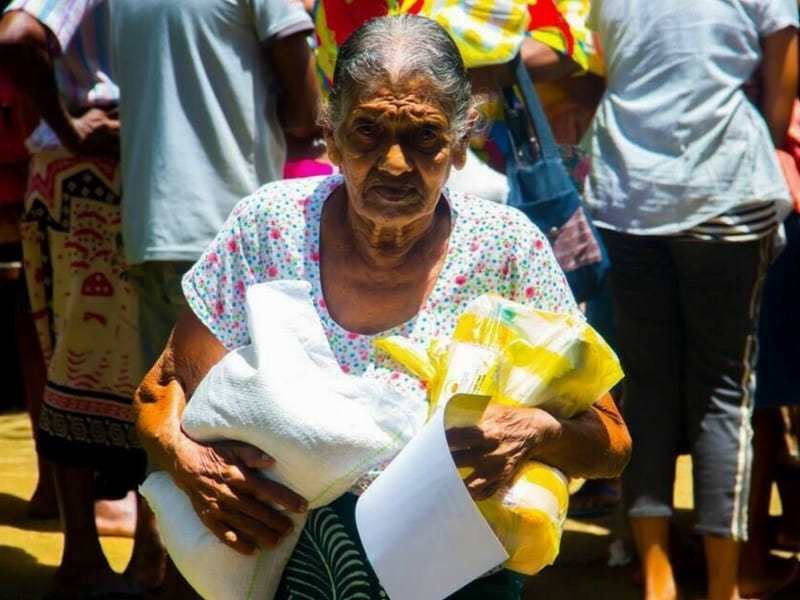 The downpours have displaced more than 100,000 people, and in the sorrow and pain of losing beloved family members, people are also worrying about shortages of food and clothing. 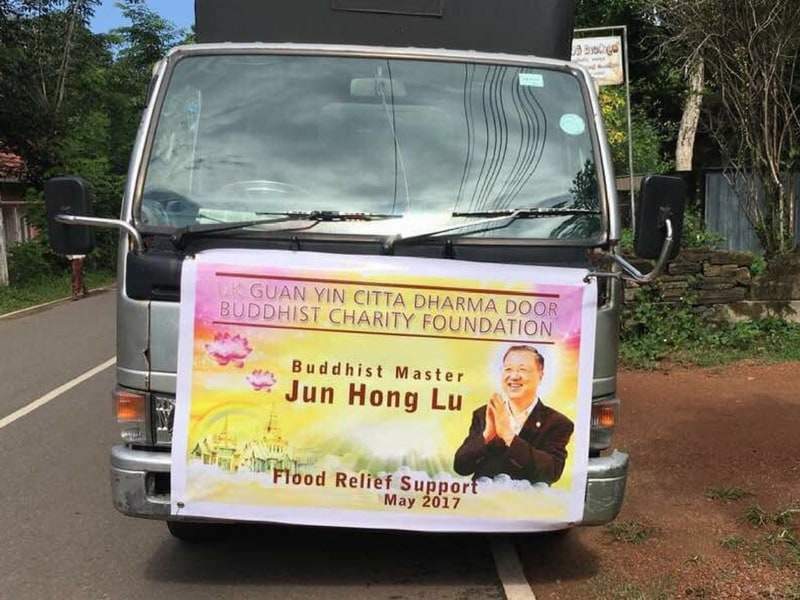 Master Jun Hong Lu – patron of the Charity Foundation – has lent his name and much of his time to the charity since the disaster began. His teaching of how to practice Buddhism in the 21st Century is much more than about simply praying, it also helps and cares about communities and the world. Master Lu also practices Guanyin Bodhisattva’s compassion and love to heal people’s suffering after disasters, and in doing this, he comes with a mission. People who believe in the Buddha all know the Guanyin Bodhisattva, who is one of the four most favourable Bodhisattvas in Chinese Buddhism. 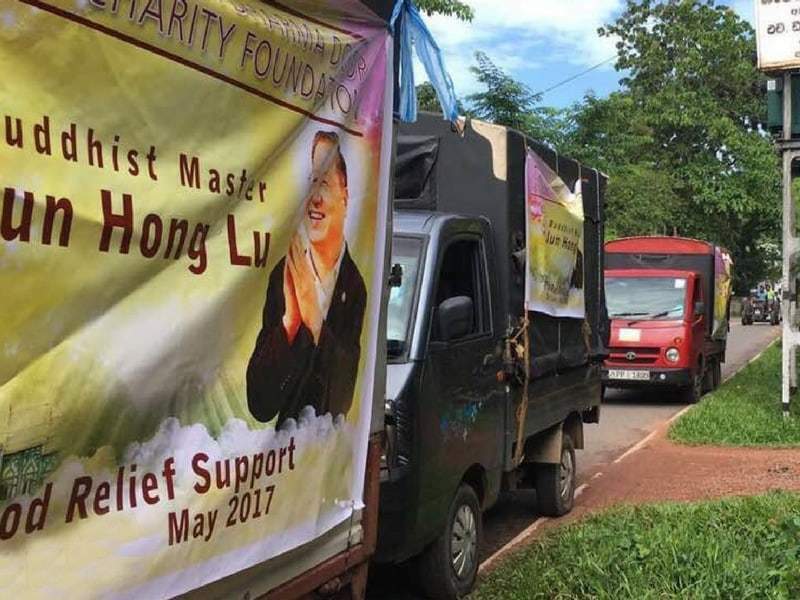 With Master Lu’s influence and encouragement, substantial donations have been allocated to provide at least 3-5 days of emergency food supply to those who are affected by the disaster. These donations are destined to help women and children, households and families. 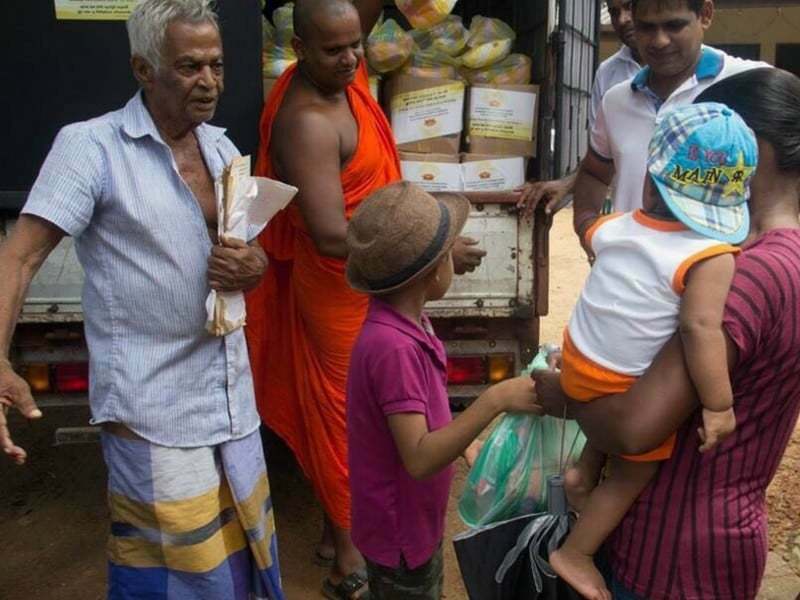 People affected by the disaster recognised Master Lu via a banner on the disaster relief food truck, who was previously on media, have contributed towards the society of Sri Lanka. Further disaster relief efforts will take place to help rebuild the homeland of the affected people and to offer hope to those who are in the shadow of the disaster and have endured the loss of loved ones.